Work is still waiting to start on nearly 400,000 homes across England which have planning permission. A study by the Local Government Association (LGA) reveals that little progress has been made in the past year towards reducing this huge backlog which would make a significant impact on the national housing shortage by providing more much-needed affordable homes. According to the LGA, developers are now also submitting fewer planning applications and taking longer to complete work on site. 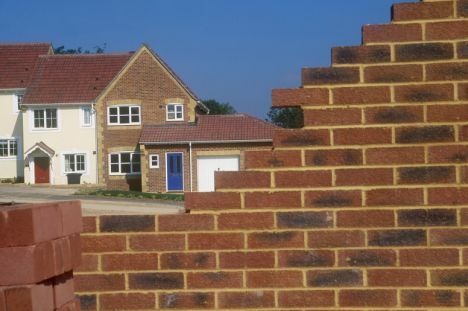 Councils across the country are concerned that the decline in planning applications for new homes will threaten the prospect of a sustainable recovery in the housing market. The LGA, which represents more than 350 councils in England, wants the government to remove restrictions on how much councils can spend on housing and concentrate its efforts on rejuvenating house building programmes and the construction of new homes. The backlog in homes with planning permission yet to be built has reduced by just 6,000 in the past year. It now takes 27 months, on average, from sites receiving planning permission to building work being completed – seven months longer than in 2007/8. This average time has increased by two months within the past year. Councils continue to approve almost 90 per cent of the planning applications they receive. The number of planning applications fell by five per cent last year. Local councils are calling for significant investment to tackle the new homes backlog and to build more housing. The chairman of the LGA’s Environment and Housing Board, Mike Jones, said: “The bumper backlog of unbuilt homes and drop in the number of planning applications submitted to councils last year is a worrying sign that the housing market is not yet on the road to long-term recovery. “While there has been progress made, this risks being undermined if we do not find a way to ensure developers keep up with demand. These figures conclusively show that it is not the planning system holding back the building of much-needed new homes. “Councils approve nine in every 10 planning applications and we know that there has been an increase in the numbers of first-time buyers getting mortgages. This entry was posted in Lifestyle and places, New homes - events, New homes update, News and tagged affordable homes, first time buyers, house building, housing market, housing shortage, LGA, New homes. Bookmark the permalink.